Fundraiser to benefit the City’s Safe Asleep Program@Fire Engine Pizza Fairfield Ave in Black Rock-The proceeds from this event will be donated to The Safe Asleep Smoke Detector program run by the Bridgeport fire department and RYASAP. This is a great program that has and will continue to save lives in the City of Bridgeport. 11:40pm–#Bridgeport CT–Firefighters quickly extinguished a small fire in a camper parked in side lot at 430 Park Street. 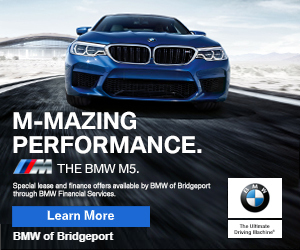 9:09pm–Bridgeport CT–Pedestrian hit by a car at Park Ave. and John Street. First responders on the way. 9:06pm–#Bridgeport CT–Self cleaning oven fire at 160 Village Lane. Time to call Marsillio’s Appliance and TV at 2031 Black Rock Tpke in Fairfield. (203) 366-7541. Same fire crew from the car fire responding to this.